The original Trebears, a single storey brick cottage has been in the ownership of the same family for over 100 years, since its construction. The family decided in 2011 that it was time for a new Trebears to be constructed. 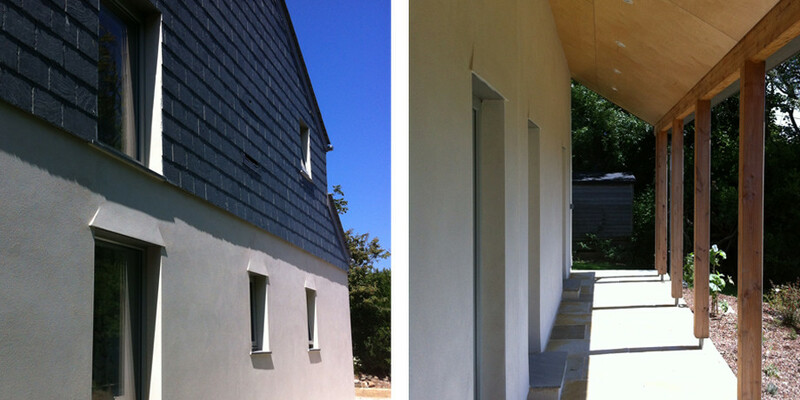 The brief was to design an affordable and highly sustainable house that would last for another 100 years through simple and robust detailing. 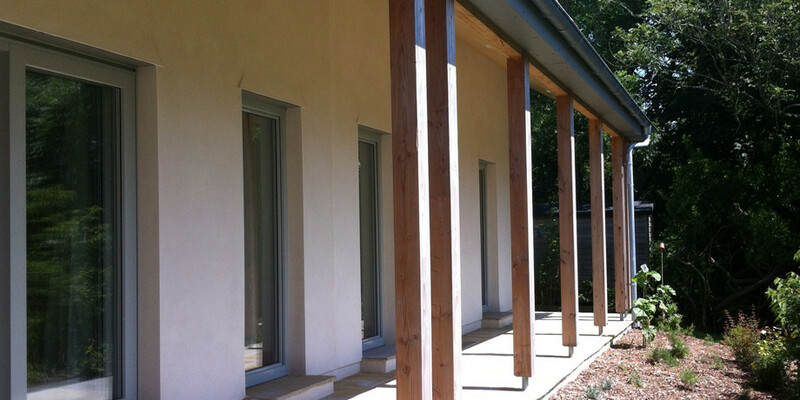 The project incorporates specifications that exceed the current Building Regulations and adopts many of the Passivhaus principles. 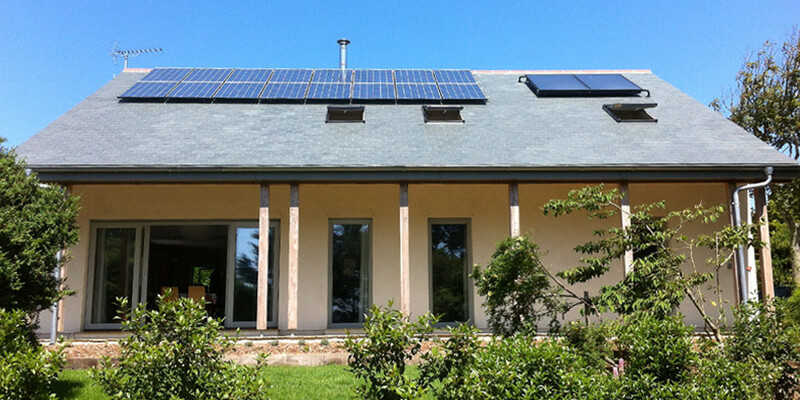 The resultant integrated design has 16 photovoltaic panels, 2 solar thermal panels that, along with a highly efficient woodburner and whole house heat recovery system, have the potential for the house to be self sufficient for energy, achieving an A-A energy rating. Through the integrated design process, careful detailing and a fantastic team of contractors, the client has achieved a remarkable cost per metre of below £1,250/m2 for everything! Investing 18 months of his own life project managing the whole thing has truly been worth it! 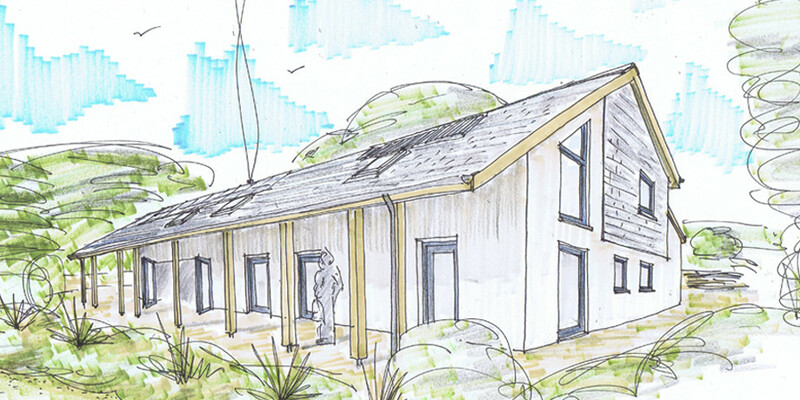 Along with passive solar gain features and a veranda that is reminiscent of the post war colonial style houses, the project offers a potential affordable blueprint which draws inspiration from a traditional Cornish material palette. Trebears features in the May 2014 edition of the Build It Magazine.